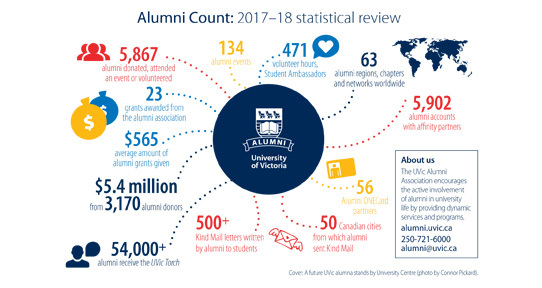 The UVic Alumni Association is registered under the Society Act of BC with the mission of encouraging, in partnership with the institution, a lifelong relationship between UVic alumni and their university. A volunteer team of more than 20 alumni serve on the association's board of directors and its various committees. The association holds its annual meeting in late May or June. There is no charge for membership in the UVic Alumni Association.